When it comes to old houses, I really have two major obsessions (and a dozen or so minor obsessions). 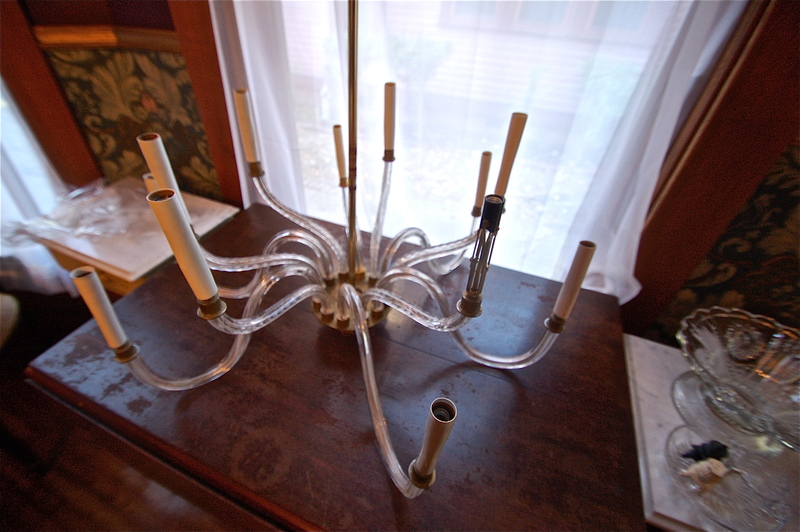 The two major obsessions are lighting, and vintage plumbing fixtures. I can never have enough of either. 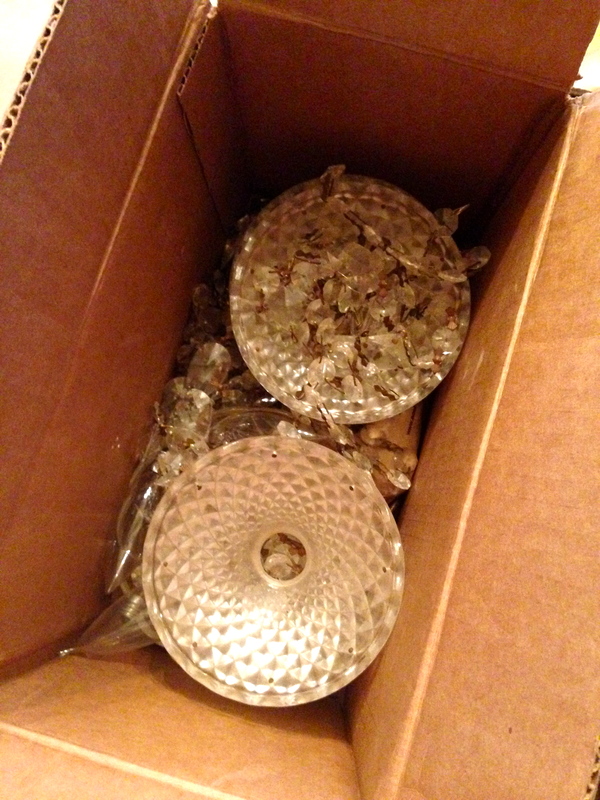 The fact is, I’m a bit of a lighting hoarder (it’s a little easier than being a clawfoot tub hoarder, though I have to admit I have three of those waiting to have a home in the house, as well). When it comes to lighting, I’m a bit of an activist. If I see something that needs love, I will buy it – even if I have no place in my house for it. Restoring it and bringing it to life is so joyful to me, so I’ve just been collecting some pieces for years, knowing that someday, I’ll have a plan for them. Some people adopt every cat at the shelter. 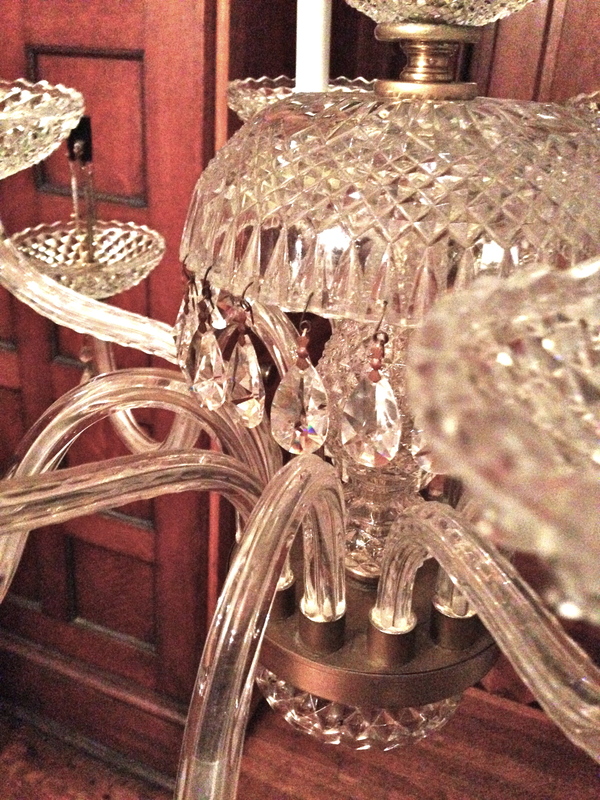 I adopt chandeliers. SPEAKING of lighting activism, have you seen my friend Ross’ blog? 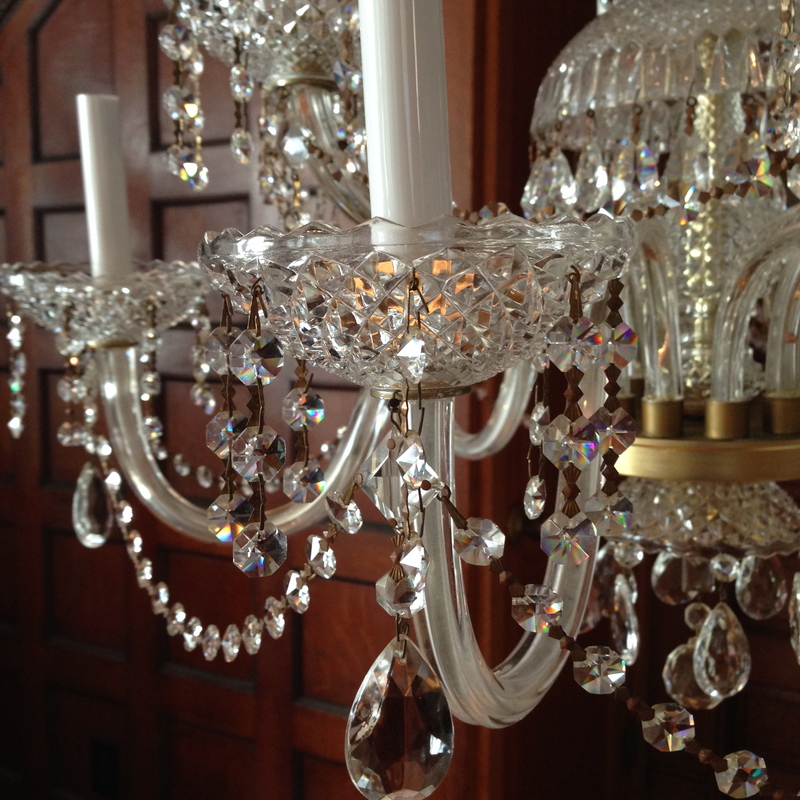 Besides his magnificent house, he is an incredible wealth of knowledge, love, and expertise when it comes to lighting restoration. His pieces are remarkable – Ross is a starter and MVP for the professional team, and I’m still playing little league T-Ball. I’m so inspired by what he does, and it makes me want to learn and know so much more. 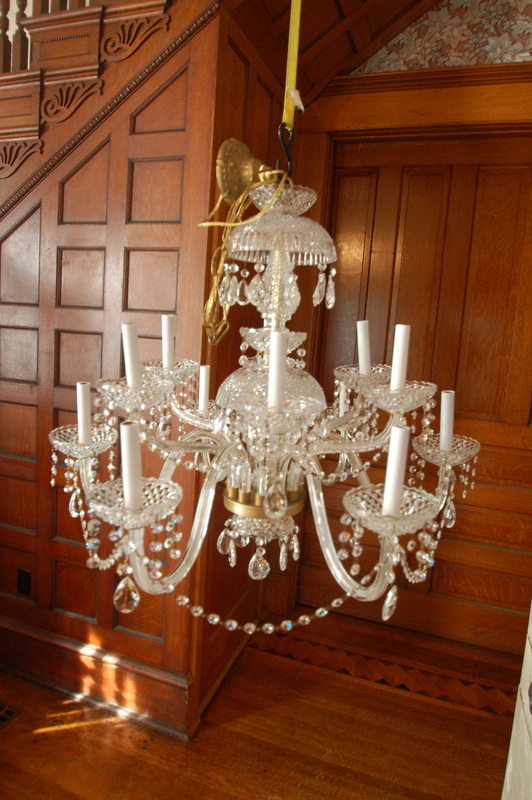 I saw a chandelier on an online auction / estate sale, and bought it, sight unseen (well, I had pictures). 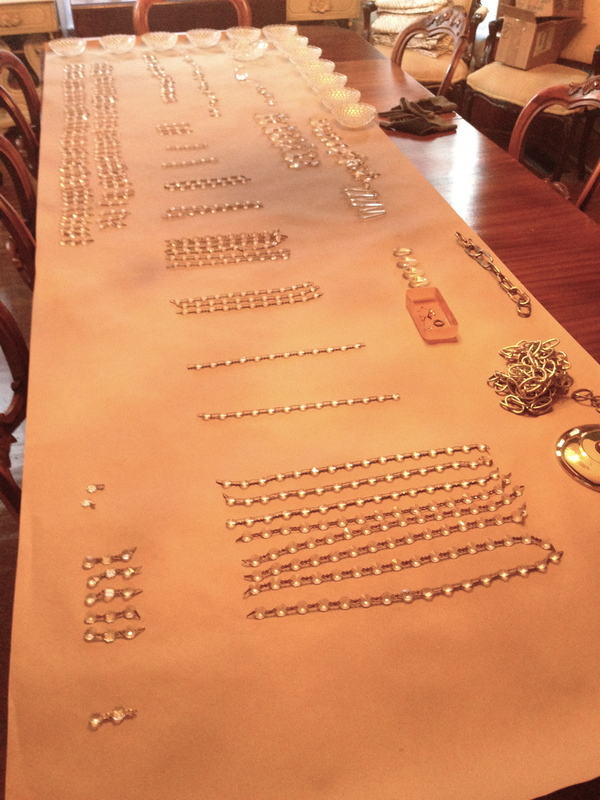 Here are some pictures from the sale. It was to come with some boxes of parts, no idea if it was complete, and it had at least one wonky / broken arm. In my mind, if it was in bad enough shape, I could disassemble it, and rebuild it new – maybe a bit smaller – from the parts. 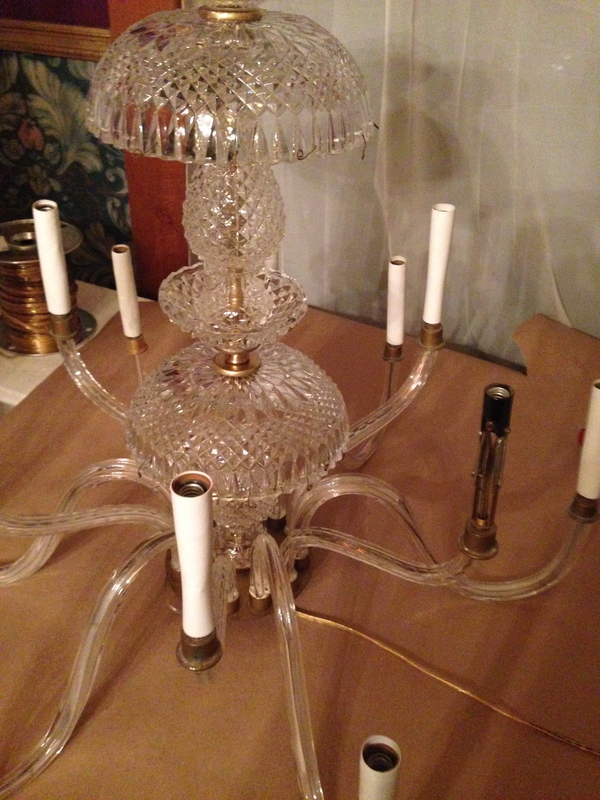 From the picture, it looked like a normal 8-arm chandelier. 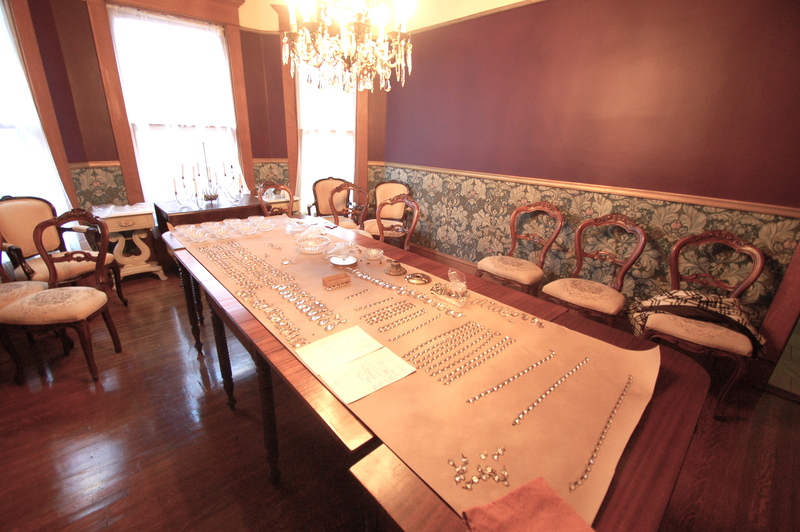 But, in reality, it was a GINORMOUS 12-Arm piece, about three feet wide and three feet tall. It was super dingy and dirty and brown. It did come with two boxes of parts, heaped together. I didn’t go through everything right away, but I was super pumped to find that all 12 bobesches existed, with not a single chip or crack. 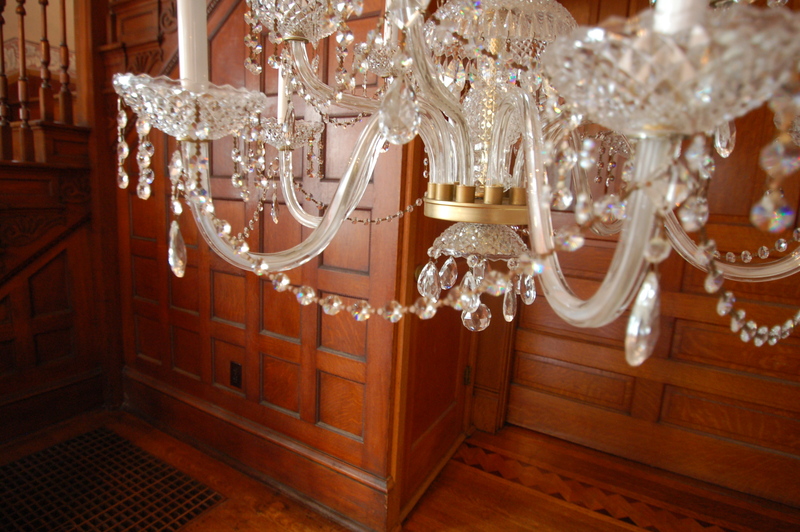 In fact, the main body of the chandelier was also in incredible shape. And that broken arm? Not broken at all. The brace that held it on just wasn’t connect. So lucky! 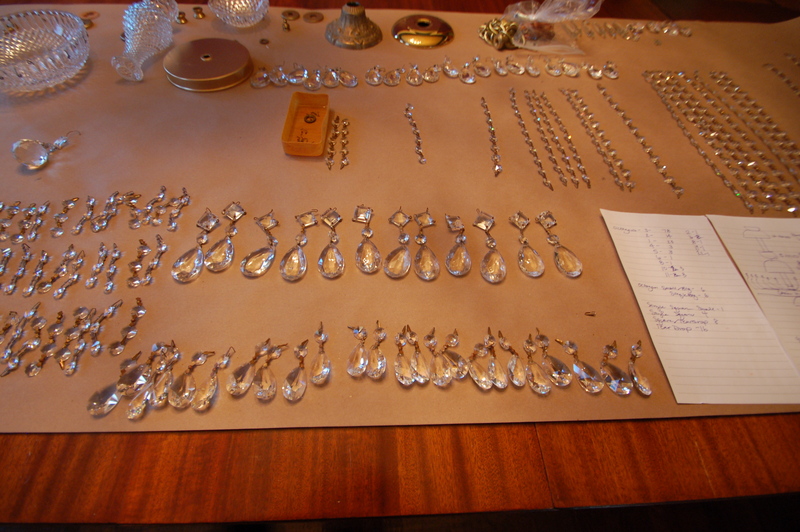 I laid out paper on the dining room table, and began to sort all of the parts to see what I had. I didn’t have a diagram or a picture or anything, so I just got to figure out the math of it all. It seriously was the most fun I’ve ever had putting a puzzle together. And then, I cleaned. And all of the sudden, all the sparkles started happening. 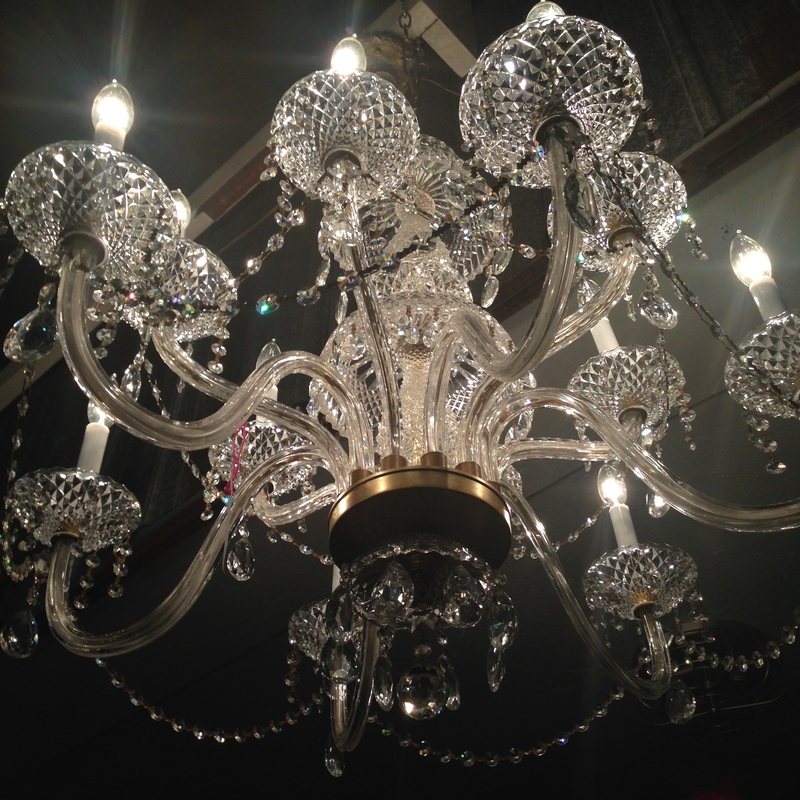 It’s amazing how cheap a chandelier looks when it’s dirty. And how special it looks when it’s loved. 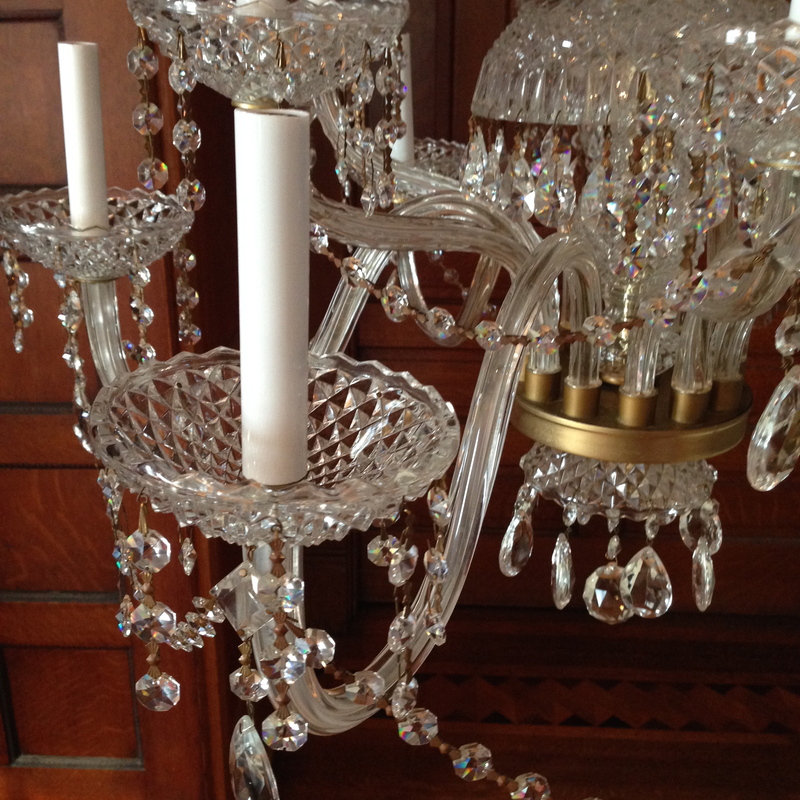 Which is a huge reminder that I really need to clean the chandelier above the stove. 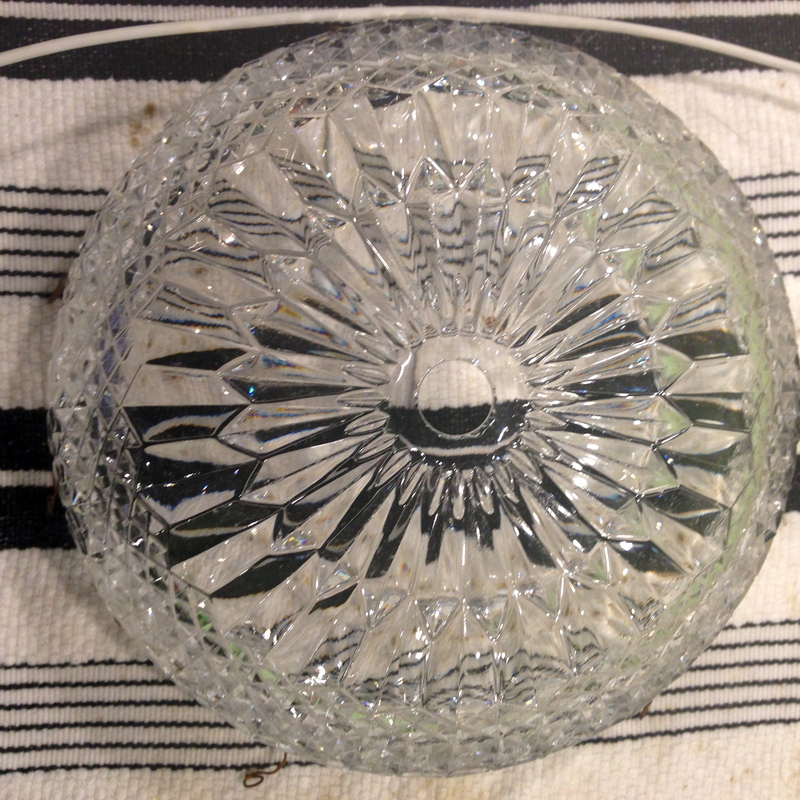 Here is one of the bowls before cleaning. I used vinegar and water and soft rags to get the dirt off, and used a really soft toothbrush to get into the crevices. Even though the toothbrush was soft, I wrapped it in a rag to avoid any possible scratching. I wish blogs could have a “touch and feel” feature, because the grossness of the film on the crystal is something you all should behold. 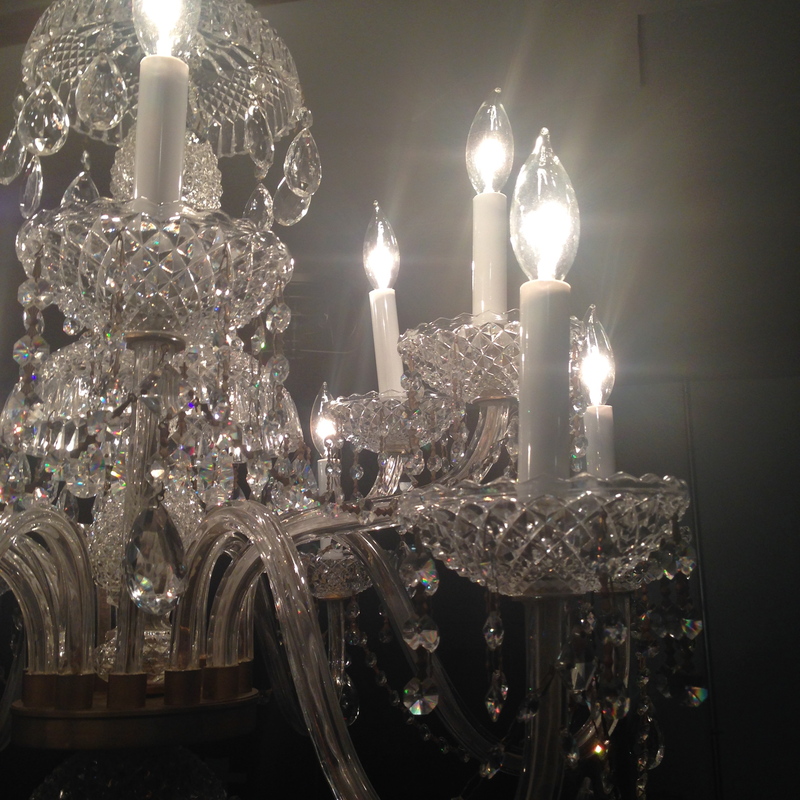 I took apart every piece of the chandelier and cleaned it individually, and took a ton of pictures so I could make sure that it got put back together correctly. When the body was down to it’s most basic, that’s when we re-wired what needed to be re-wired. 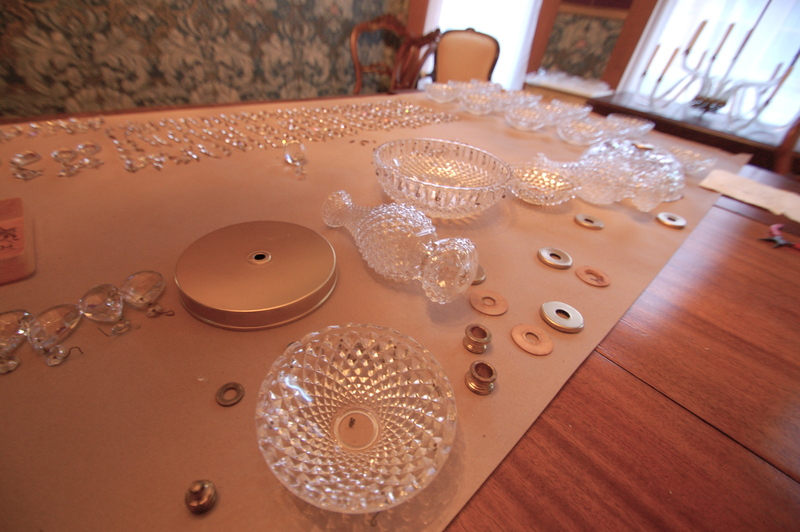 Since I had no photographs or instructions, I made a map of the fixture itself, and documented how many holes I had for crystals on each part. I inventoried what I had, and figured out which scenarios worked best to be able to use all of the original crystal parts. There were a few crystals missing, but not many! I supplemented with crystals I had in my own stash. This was a huge puzzle, and involved a lot of math, which, shockingly, I LOVED. A lot. 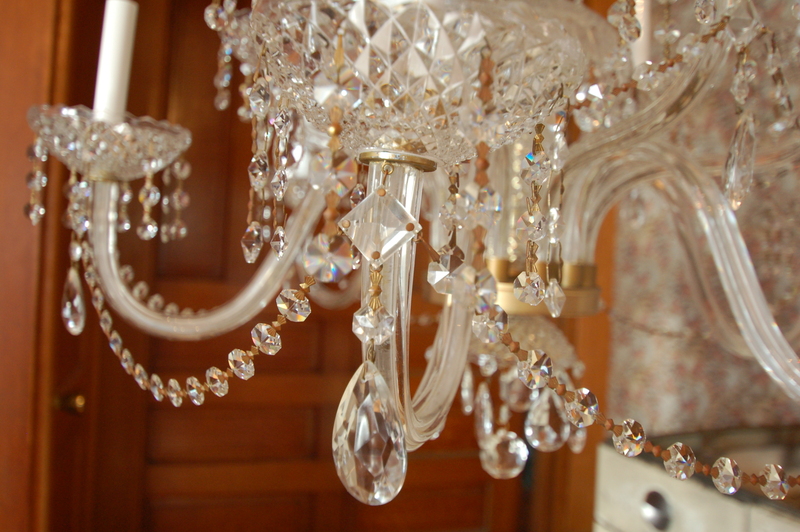 I wish I could’ve taken “Crystal Chandelier Math” instead of Algebra II in high school. This piece would’ve been an AP course. (Incidentally, you should speak REALLY clearly when your husband asks what you’re doing. 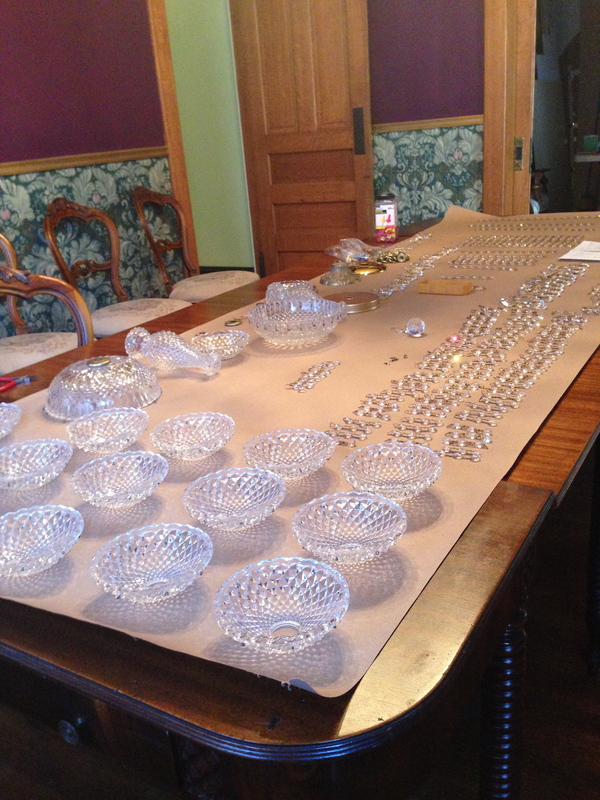 “I’m doing Crystal Math” can come out horribly wrong). I started by putting the body back together. It was amazing how stunning it was, now that it wasn’t covered in filth. 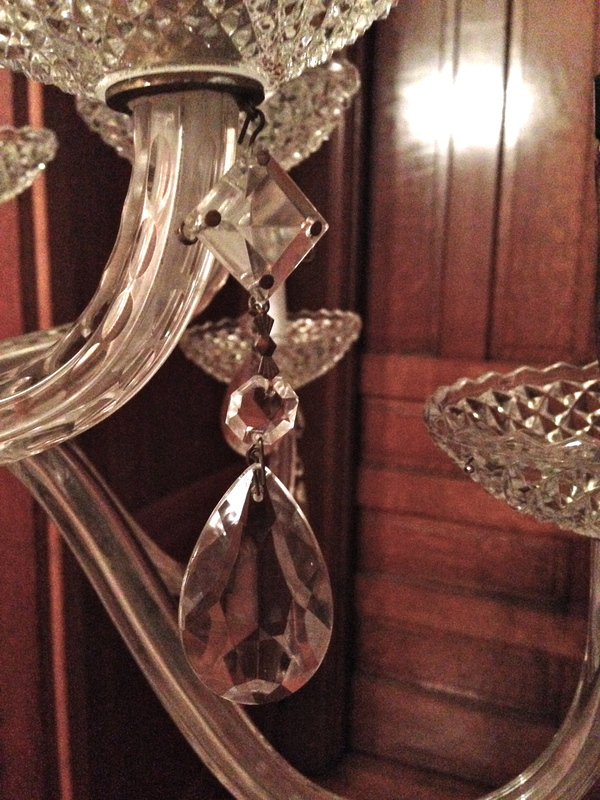 Doug hung a strap from the banister, so I could get crystals on at a good height and to be able to see everything well. I have to apologize for the quality of the next several pictures – crystal is already awful to photograph, and when I was putting this together, it was after marching band practices over a couple of days – so it was dark outside, and there wasn’t quite enough light in the entry hall to make the pictures as great as I wanted. Step Two : Square and Teardrops (I LOVE this piece). Step Three : Bowl teardrops. Step Five (and final step) : Chains and Bottom Dangle. And it’s sunny! All the sparkle. 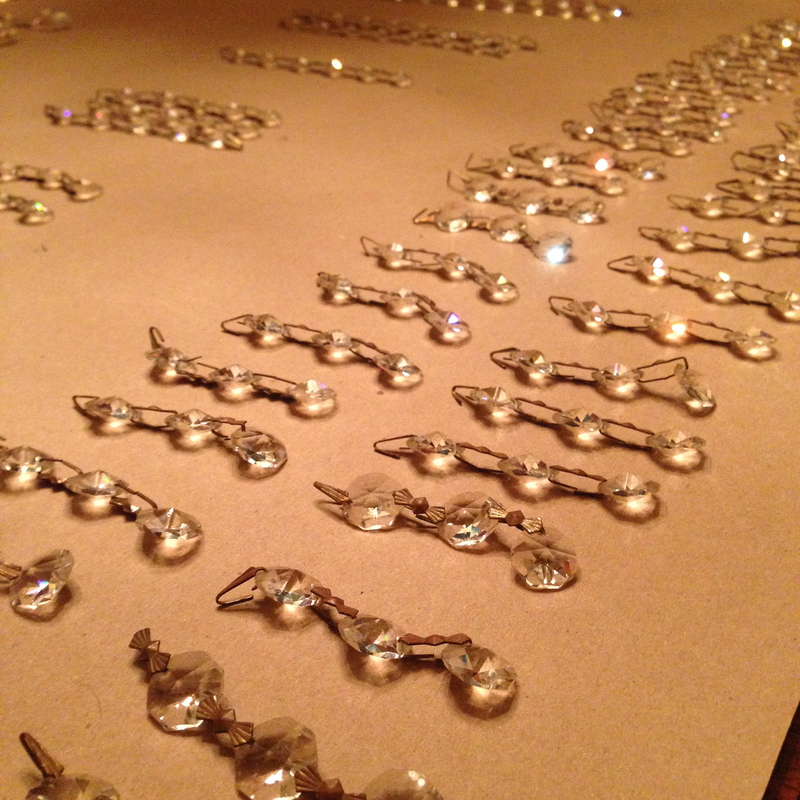 All the shine. It’s so lovely. Fantastic question. It’s not going in my house. Franklin Heritage, our historical society in town, has a beautiful salvage store (Madison Street Salvage). 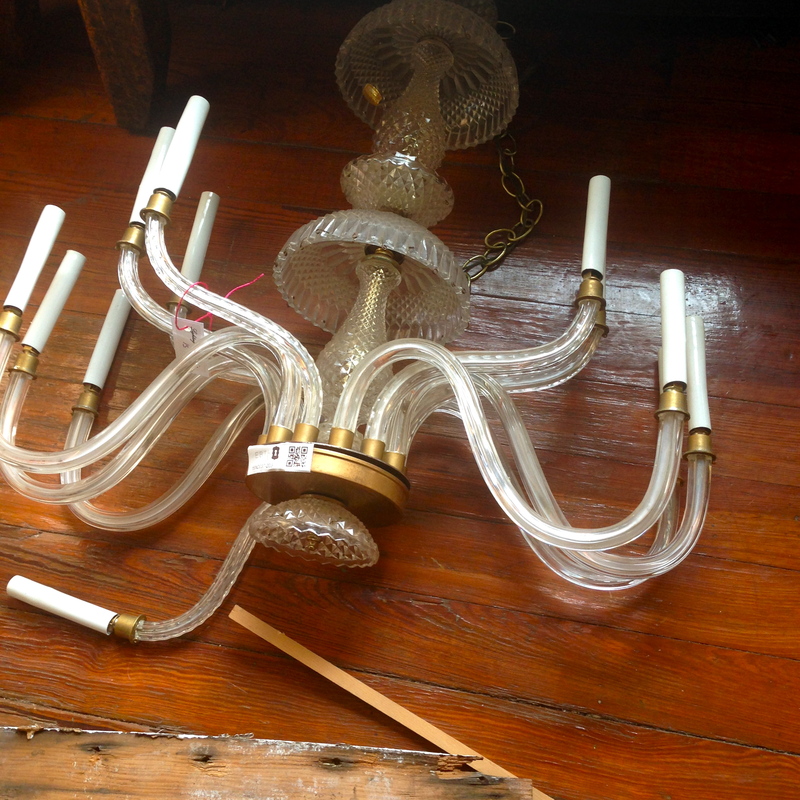 I am so excited to have been commissioned to restore some pieces for them, to both fulfill my love of lighting restoration (and subsequent hoarding), and to be able to help Franklin Heritage fund the amazing restoration work they do in town. 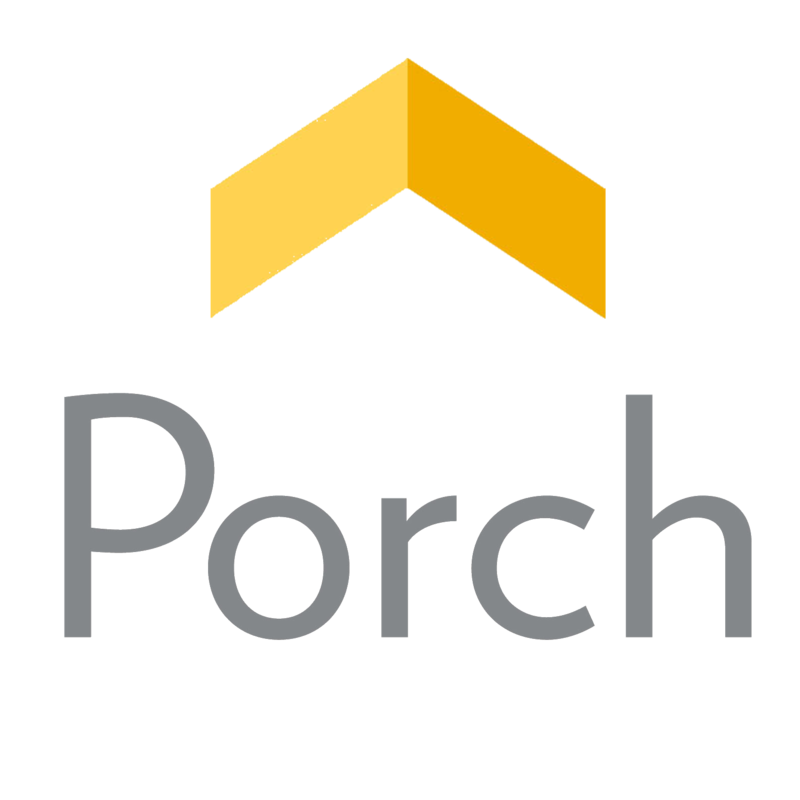 They have some amazing salvage – go visit! 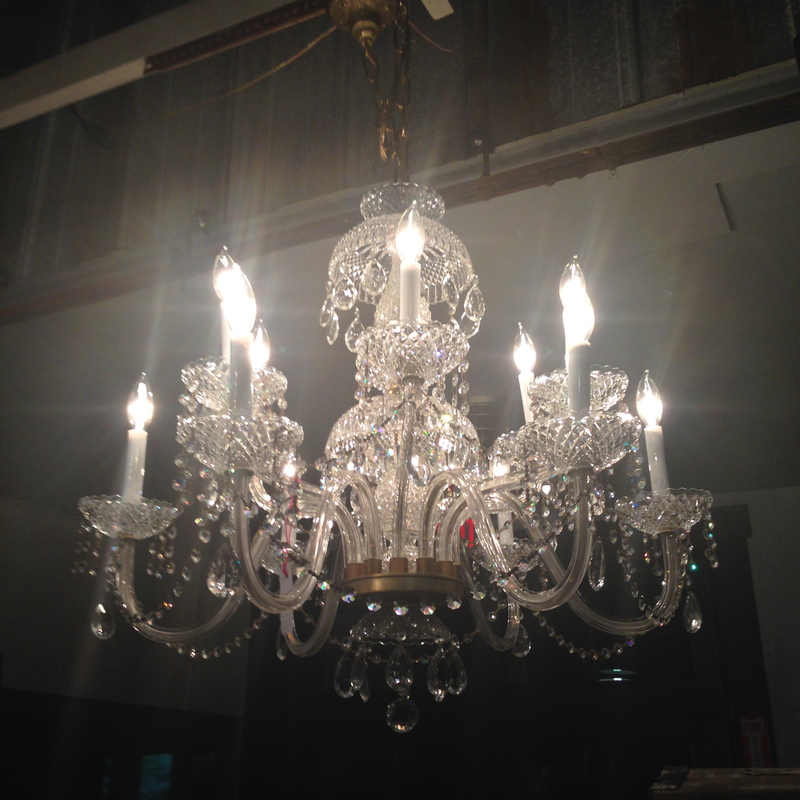 And if you’re in the market for a stunning piece of lighting, take this gal home. I want her to go to the best home ever. And if you hang it in a bathroom, closet, laundry room, or some other completely quirky and unexpected place, we can be best friends forever. Previous PostA Change of Pace (And Fabric)! Thank you! I had so much fun doing it. And I laughed out loud at myself when I realized how crystal math sounded when I said it! We will have to start calling you Walter White! 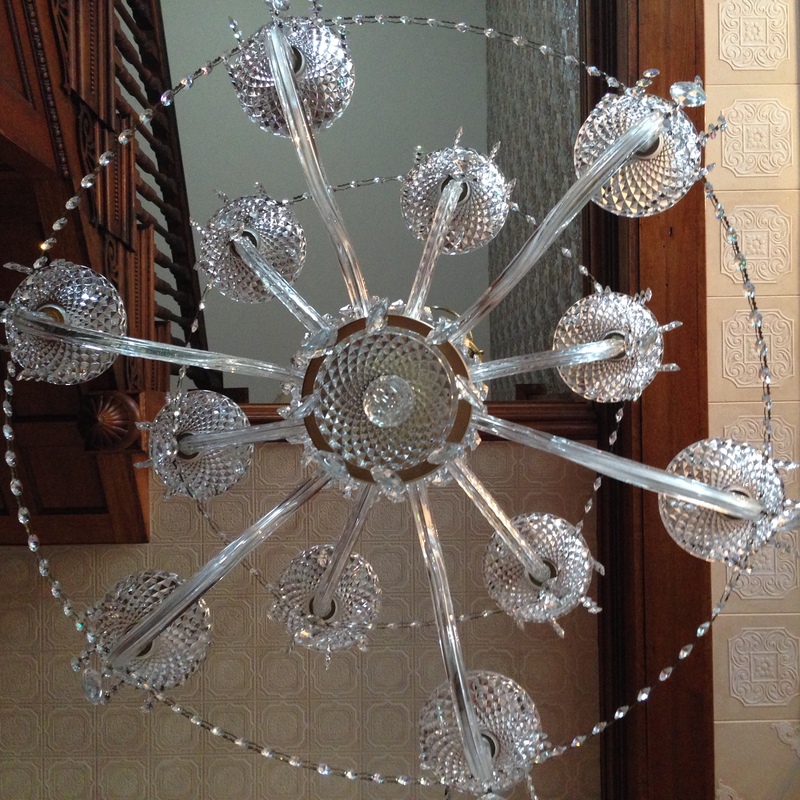 While reading through all the captions, I thought the finial image would be the glittering chandelier beautifully hanging in YOUR gorgeous house! Well, vexing disappointment aside, it it great fund seeing you work on crystal math, and the glorious results! 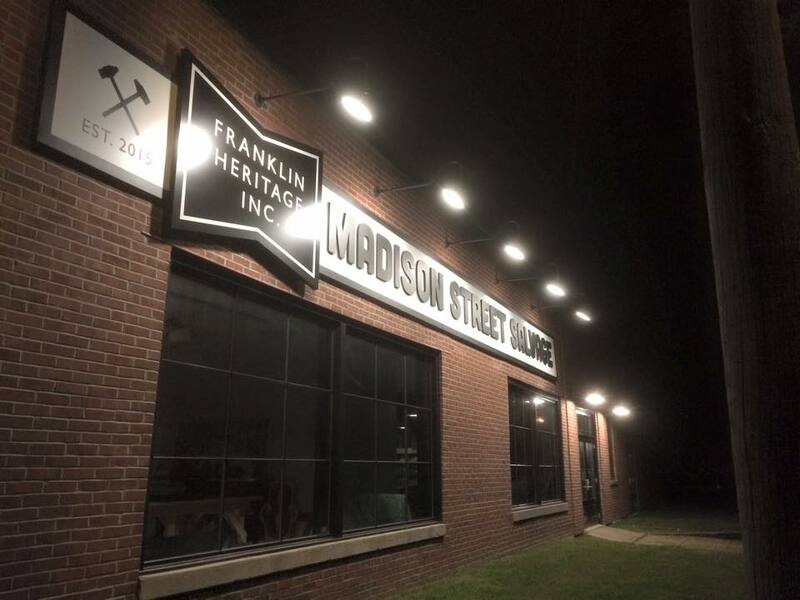 Franklin Heritage is smart to have you on commission! Congrats all around! Oh, and thanks for the links to…me! I know – it was hard to let go of this one. But alas, I did. I’m so glad you like it – that’s the best compliment I could get! Thanks, Lisa! Let me know when you find one! I’ve found a few great pieces on Craigslist. 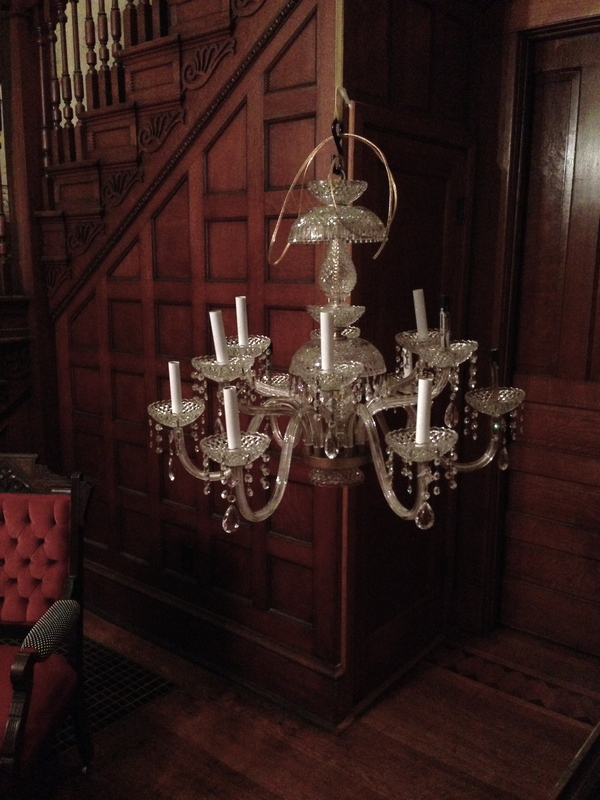 I was wondering, about how much can you expect to pay for a beautiful chandelier like this? 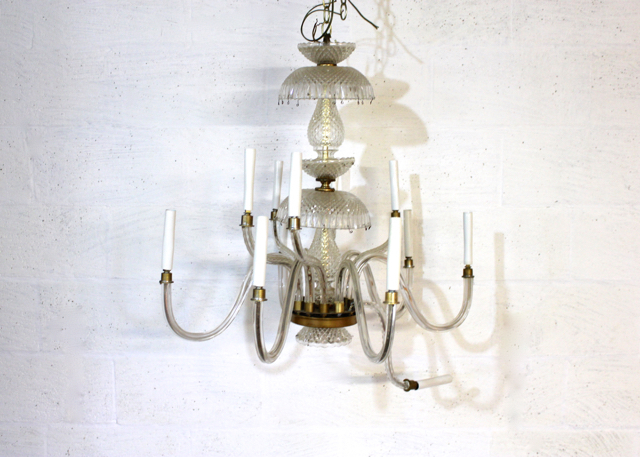 What should you look for when searching for antique lighting on Craigslist, etc? I am a total novice at this point – thank you, and I absolutely love your blog! Great to meet you, Gail! And the Mast Family IS lovely. 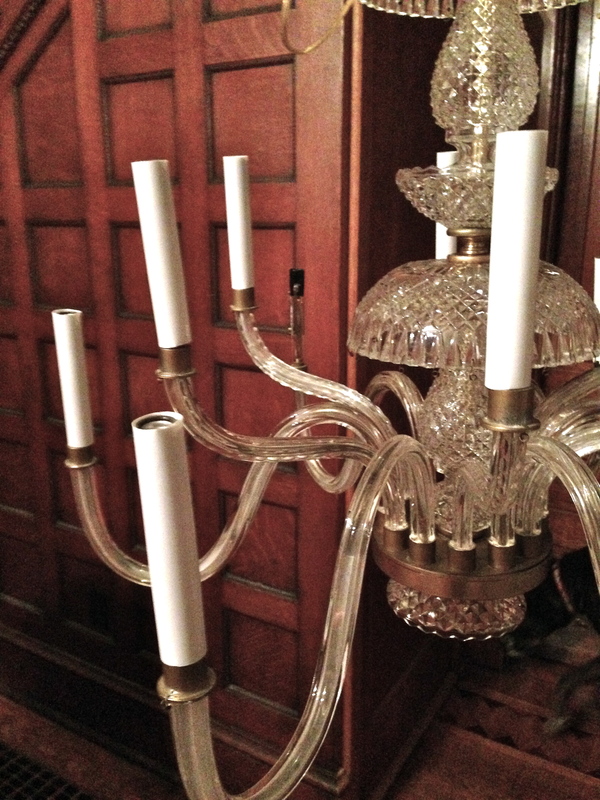 This particular chandelier, which had 12 arms and was REALLY large, sold for $760 (priced at $795, but took some off because it sold with a few other pieces). Honestly, we probably priced it too low based on its size, but that’s okay. 🙂 Again, it was a pretty large piece. As for what to look for – that’s a harder question. 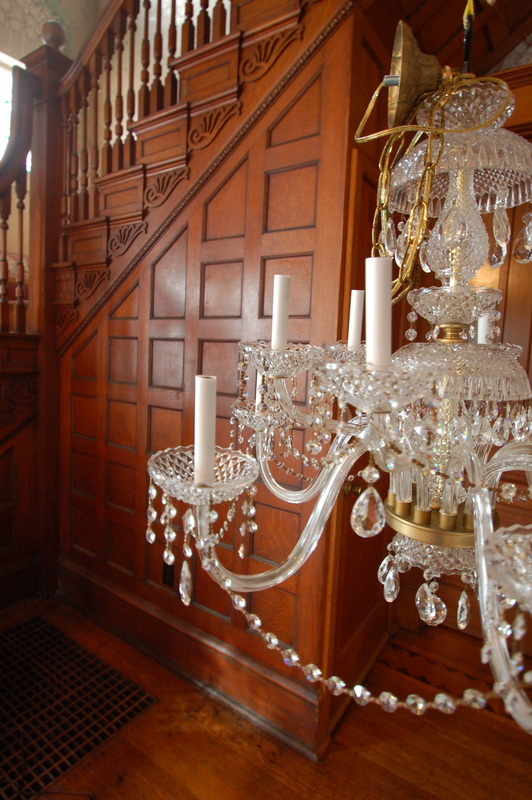 Everything depends on condition and age, and what people are wiling to spend – often prices can be flexible. 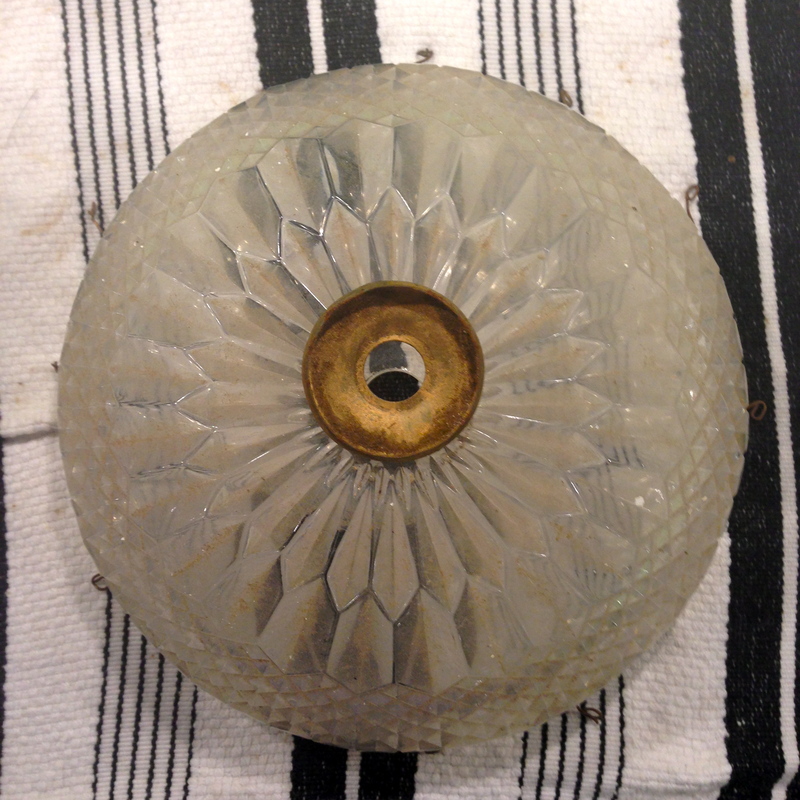 Look for modern wiring, and check for missing parts, or crystals, and look for any cracks in the piece. Missing crystals are easy – broken metal is harder. 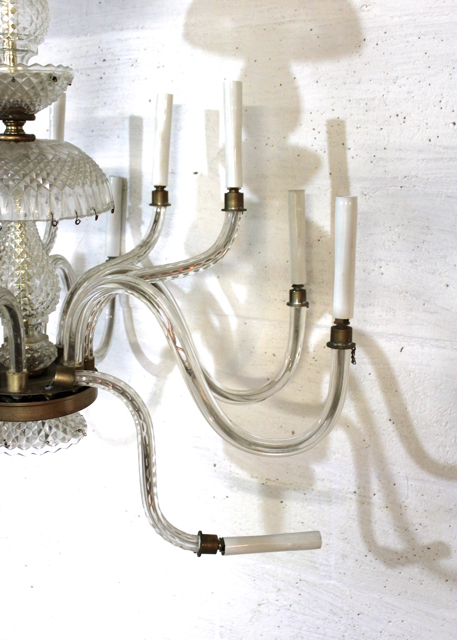 Obviously, a piece with older wiring that needs to be re-wired should have a price to reflect that, and then you can re-wire it, or find someone to do the work for you. 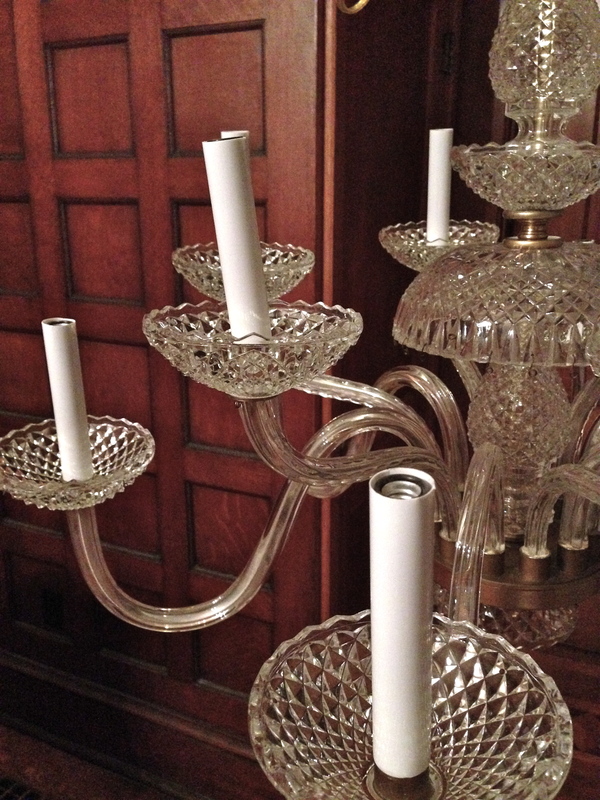 The more original or ornate the piece is, the higher the price, for sure. 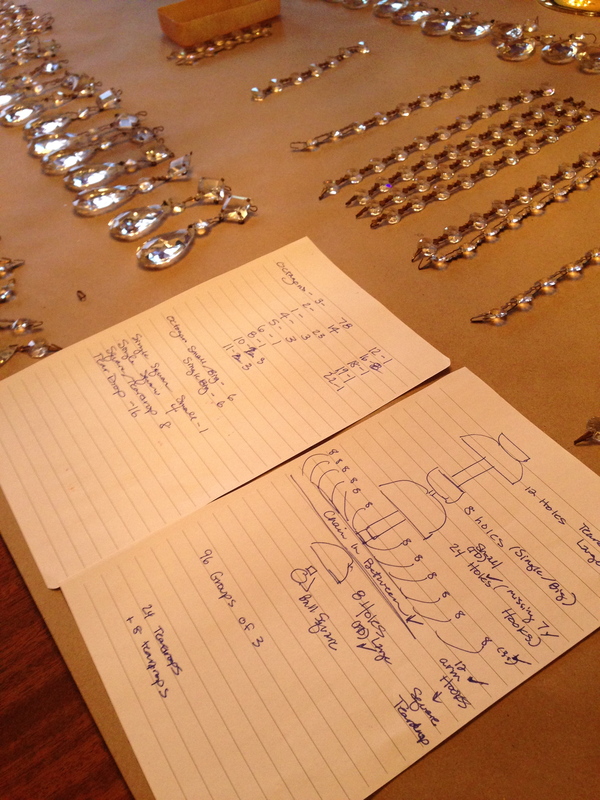 Bottom line, if you love it, most pieces can be figured out. (And we certainly could help you with re-wiring and restoration – we’re starting to hire out our services!). If you find any pieces and have pictures, email them to me and I can give you questions to ask for the seller, or things to look for. 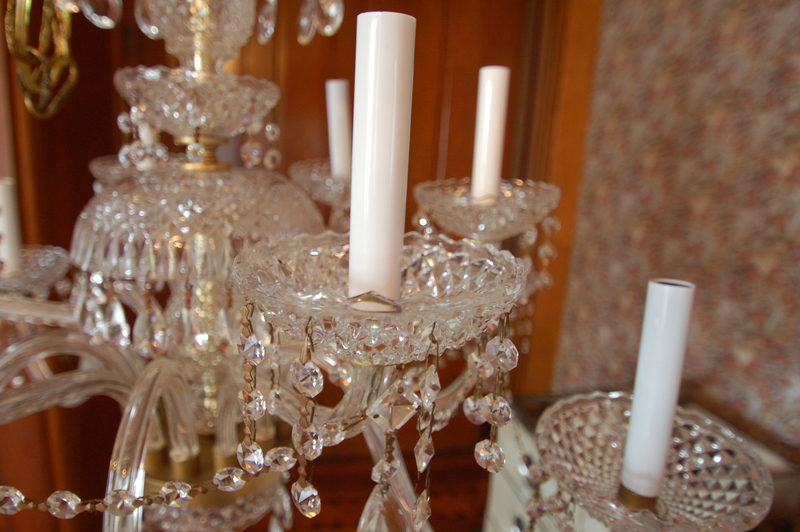 There are GREAT pieces out there, and I think that lighting is really what makes historic homes sing. Let me know how I can help! fabulous. resurrecting the old stuff just kills me — and so does paying it forward. yay.